Are you tired of going into your bathroom and wondering why you don’t look the same in the mirror as you do out in the sunlight? The culprit maybe your dark bathroom! 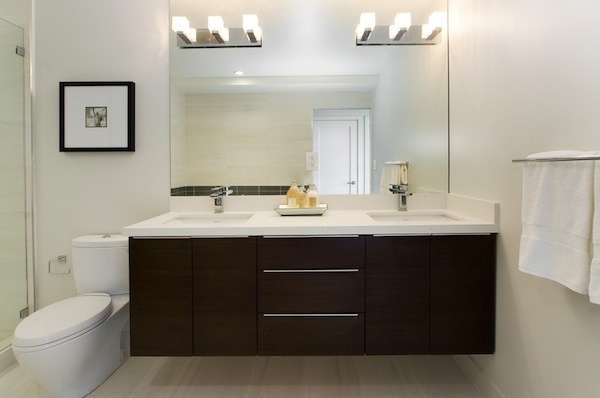 Dark bathrooms can be for a number of reasons: dark colored walls, windows weren’t designed or bad lighting can all be sources. 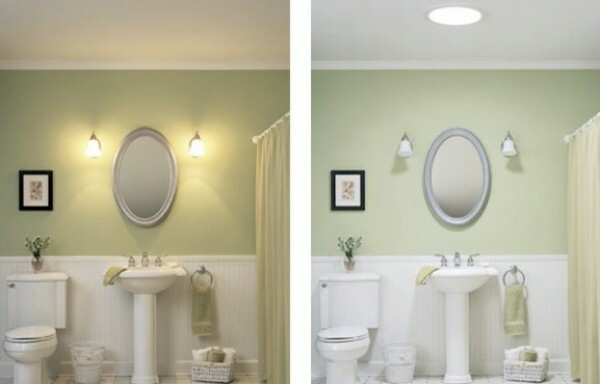 Even though your current bathroom is deprived from natural light doesn’t mean you have to be too! 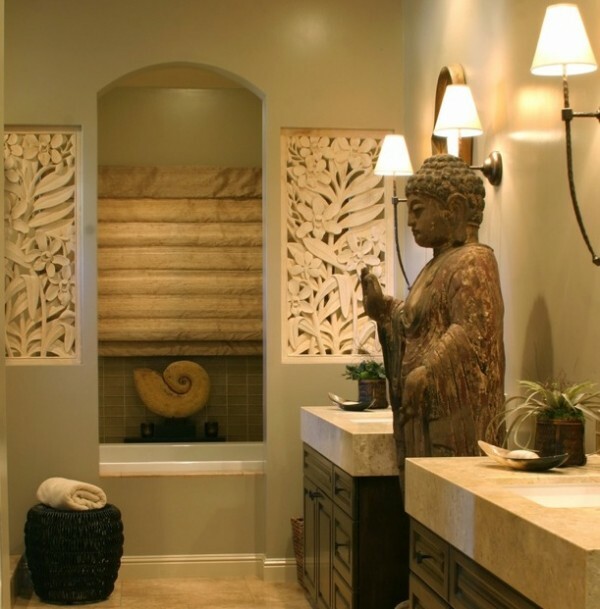 Here are a few ideas to bring light into your windowless bathroom and create a space you love. 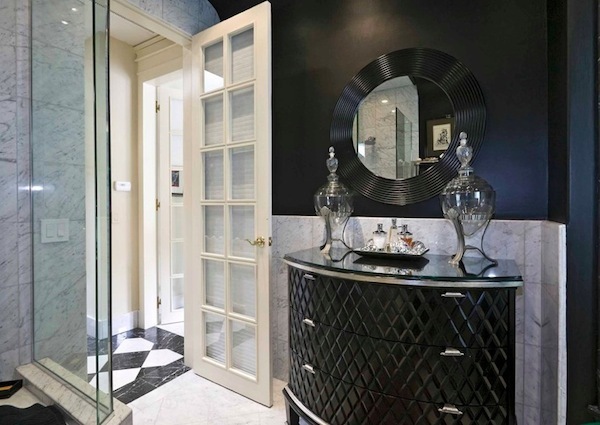 Your windowless bathroom can be gorgeous! Every bathroom has its own challenges when it comes to lighting. If your bathroom doesn’t have windows at all there are ways to make it feel brighter. Changing the color of the walls to a lighter paint or wallpaper will help reflect light as opposed to absorb light. 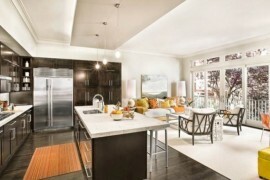 Lighter neutral colors and pastels will also make you feel less closed in mentally. 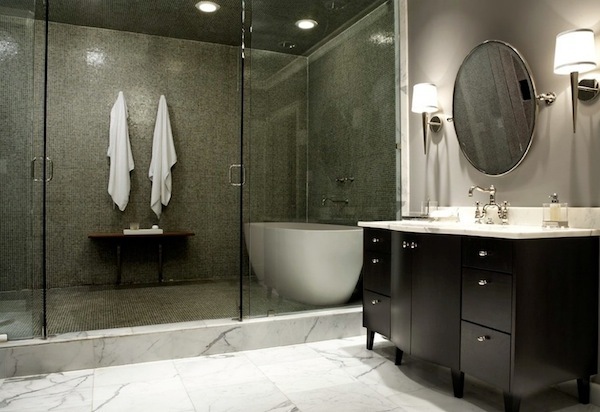 Also consider using lighter colored ceramic or porcelain tile for your shower and bathtub areas. While dark colored tile looks beautiful and dramatic it will require brighter lights to make the space feel open and airy. If you’d prefer a way to bring in light to your space but can’t install a window – perhaps your bathroom is on the interior of your home and an exterior wall isn’t an option. 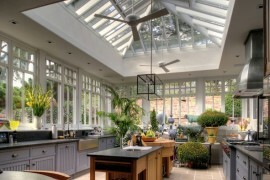 Consider installing a solar or light tube that brings in natural light from the roof or a sidewall. These tubes reflect light from the outside and cast a natural light glow into your bathroom.Also used in dark closets or kitchen pantries these solar tubes can be a lighting solution for your dark vanity area. Also installing glass block, and other translucent varieties of glass may help in your bathroom as well. 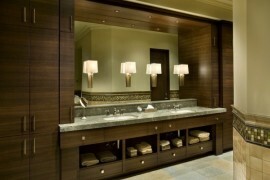 Another way to bring more visual interest into your dark bathroom is with lighting that catches your eye. 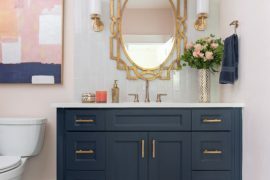 Bathroom lighting such as pendants, wall sconces, and even small bathroom lamps can sit on the vanity counter and beautify your dark corners of your room. Do you have a decorative vase, sculpture or artwork you’d love to hang? 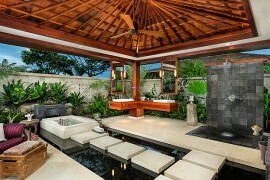 The bathroom is one of the best places along with some directional lighting. Artwork can be admired up close in a bathroom and can give take the emphasis off of the windowless space and more attention to your beautiful bathroom! Your bathroom can often pose a challenge without windows due to the lack of natural lighting and views to direct the eye outside. Use these helpful tips and considering adding your own window-like options such as a solar tube, glass block or just bring more lighting fixtures into your bathroom. Consider lightening up your wall paint or wallpaper and if you choose dark finishes remember they absorb light, so consider adding more artificial light to compensate. Your window-less bathroom just got a little brighter!